Overflow pools are irresistible: the water is at the same height as the edge, creating a beautiful lake effect. They are typically found in Hotels and Spas for their esthetic and hygienic qualities. 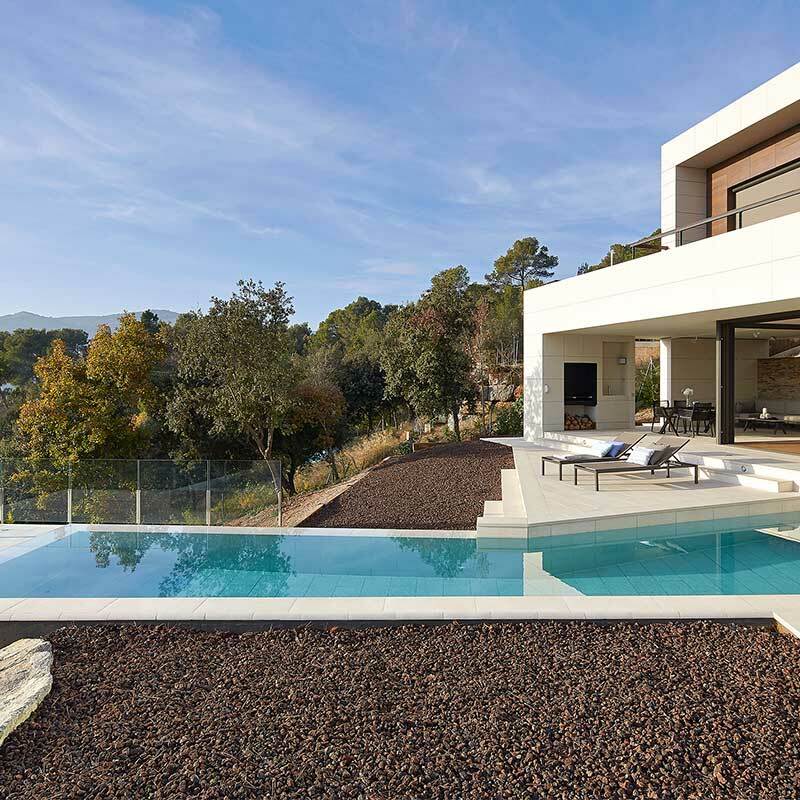 Rosa Gres has developed a customized solution for safely building them in private homes. Flex is an innovative transversal grid that adapts to all shapes and is ideal for curves. It is an exclusive Rosa Gres piece and it is produced in more than 30 colors. We call it Invisible because it blends so perfectly with the edge of the pool that it cannot be seen. It achieves a compact and homogenous grid + edge area that strengthens the lake effect of overflow pools. It is an exclusive Rosa Gres piece and it is produced in more than 30 colors. You will recognize it because it recreates the sensation of a wonderful endless horizon. 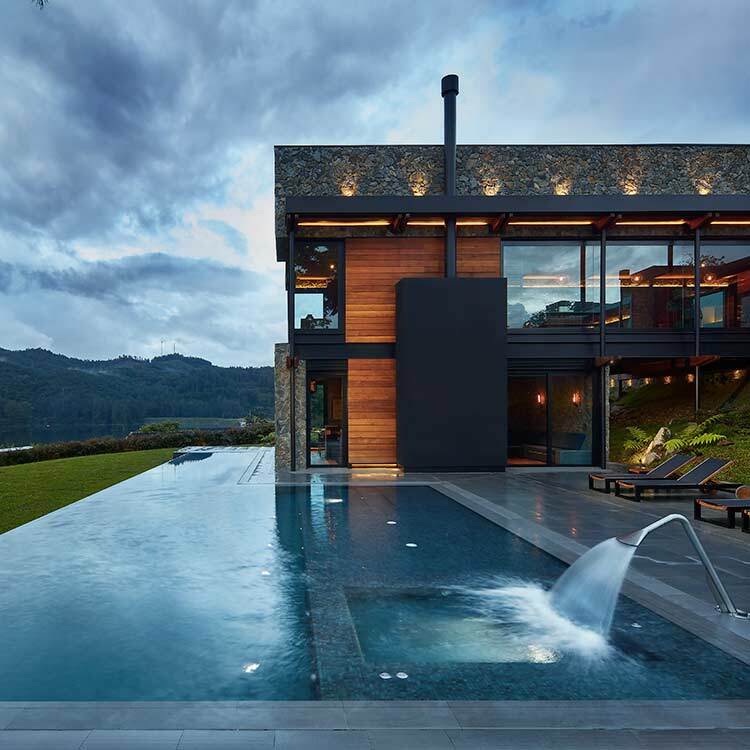 The water in Infinity pools pours into a channel located below the edge. 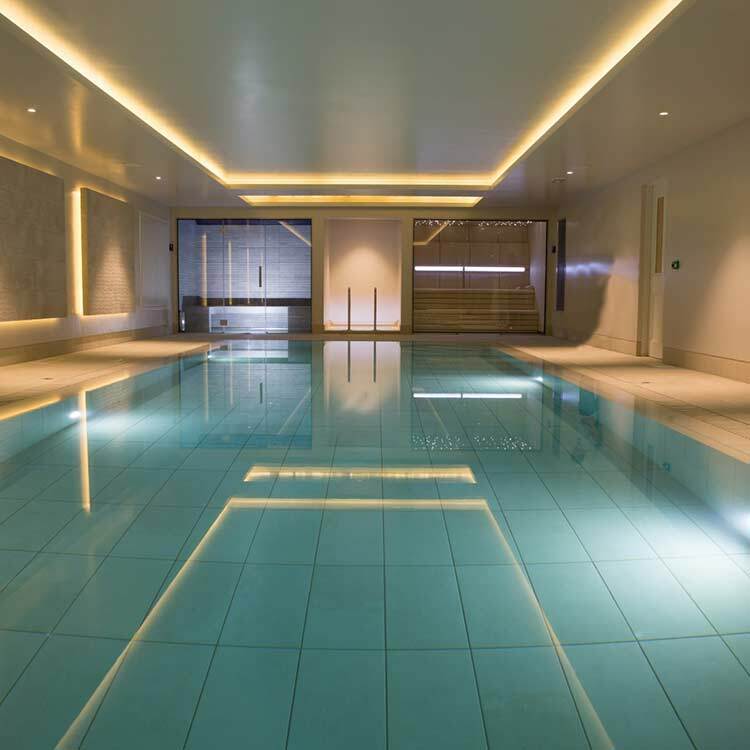 The Infinity effect can be applied to one or various sides of the pool. In these pools, the water is located approximately 20cm below the edge. They are practical and easy to maintain. They are usually built with the Skimmer system. Skimmers are openings located below the edge in order to filter the water. Rosa Gres presents two designs for the edge of the traditional pool: the SOLUTION “S” and the SOLUTION “L”. If you are looking for an indoor pool, Rosa Gres porcelain stoneware is the ideal material due to its broad range of esthetic possibilities. 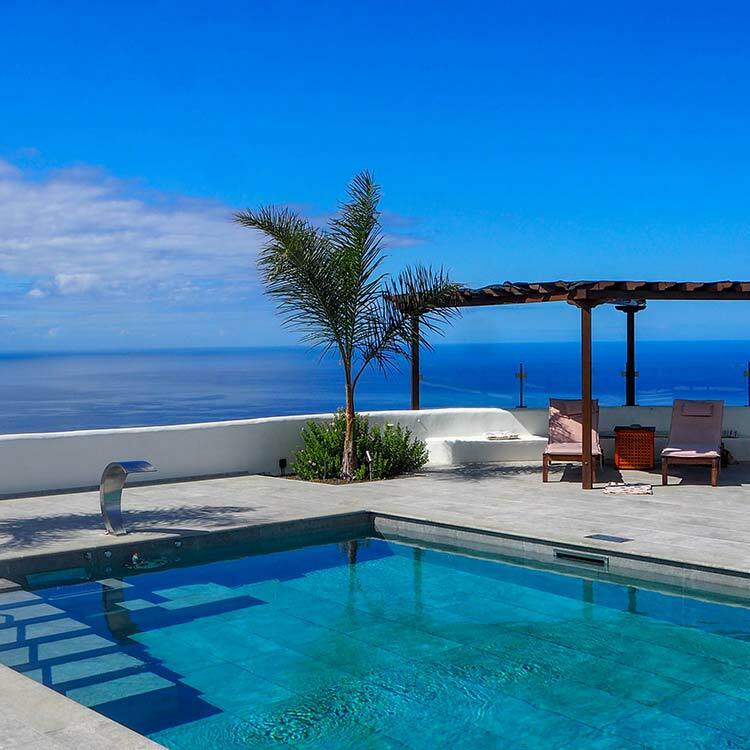 Its many colors and textures will help you coordinate your pool space with the rest of the house. 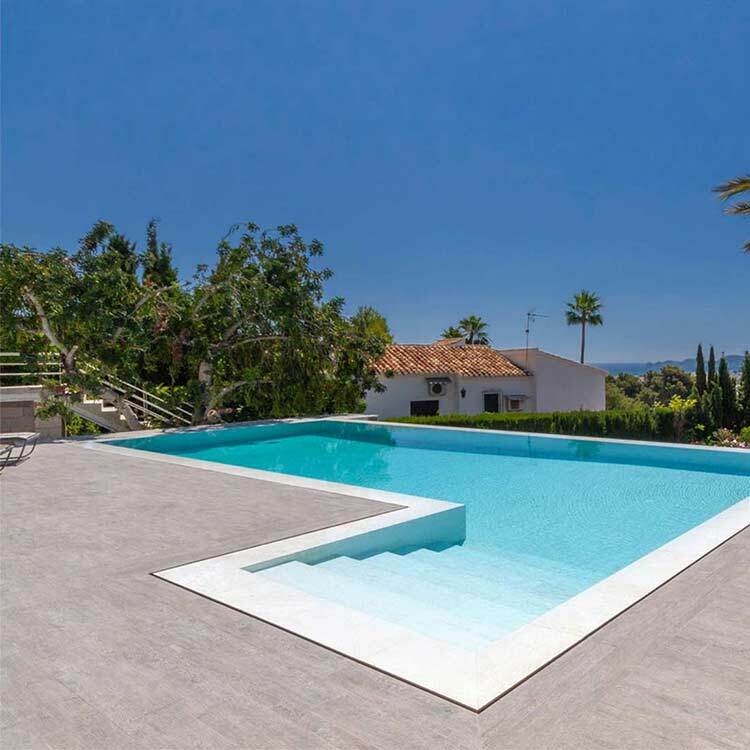 Curves are a classic in the world of pools. 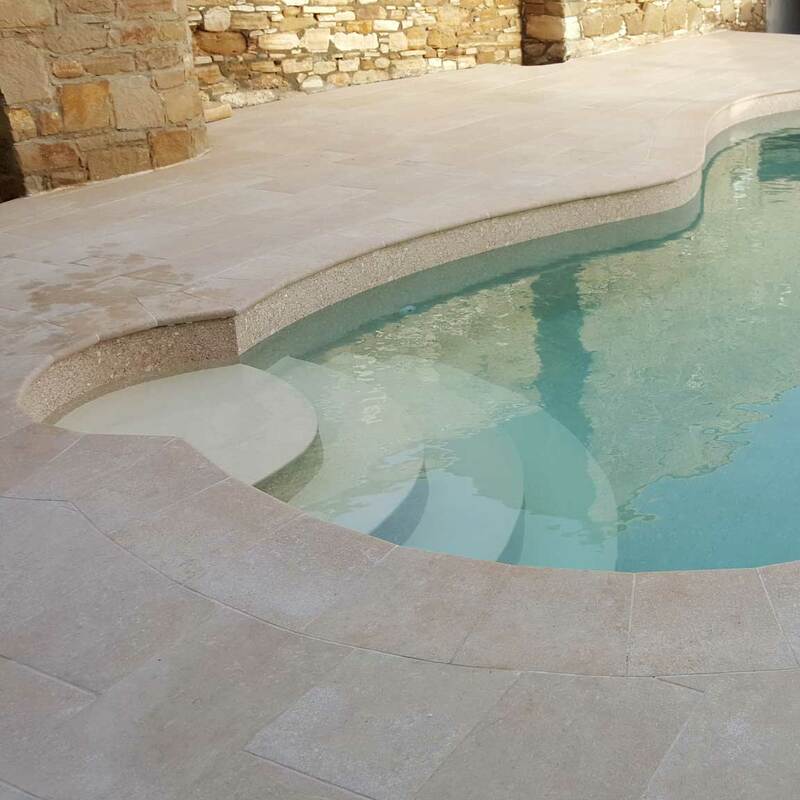 The adaptability of porcelain stoneware is a good choice that makes the construction process much easier and the curved finishes will be perfect. Architects always highlight the variety of pieces and finishes of our products. With this wide variety of pieces, creative freedom has no limits. Our wooden ceramic collection Lovely is the perfect solution if you are looking to give your pool a wooden look. Lovely is high quality porcelain stoneware with a wooden texture and all the resistance, maintenance and anti-slip advantages of porcelain stoneware. 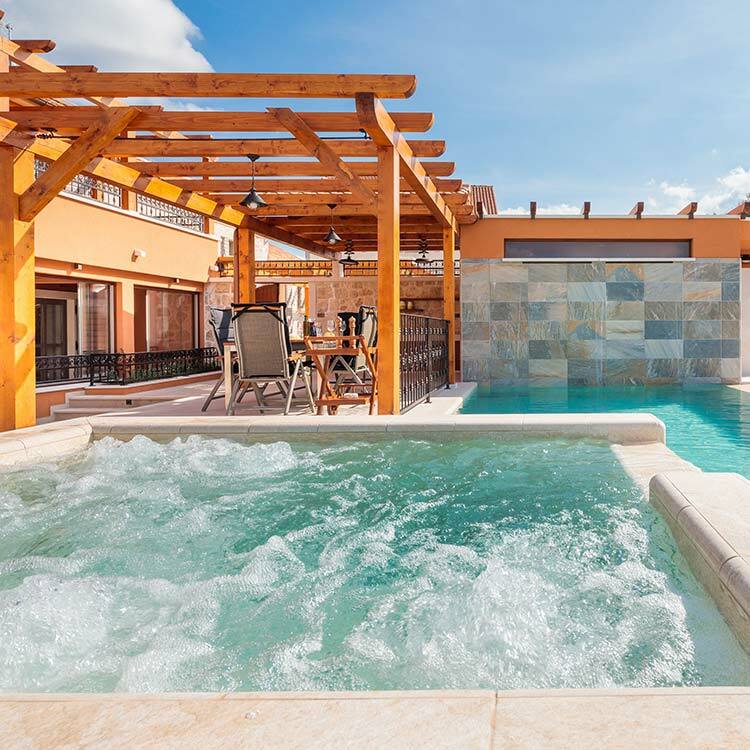 Including a spa area in your pool is an original idea that increases the options for enjoying the water and its wonderful benefits. In the following project you can see how to do it in just a few meters. 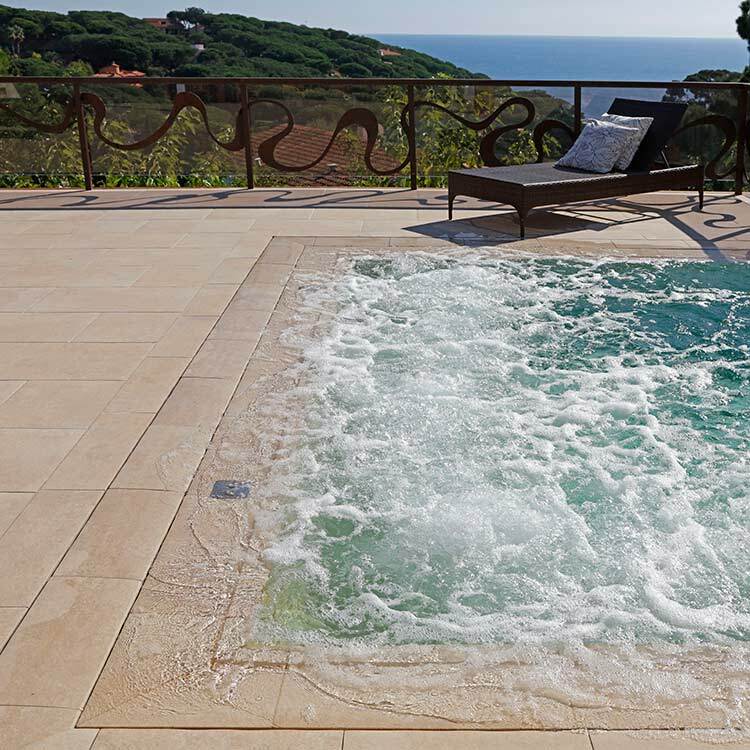 It can be star-shaped, hexagonal or circular; our special pieces for pools adapt to all shapes and dimensions. 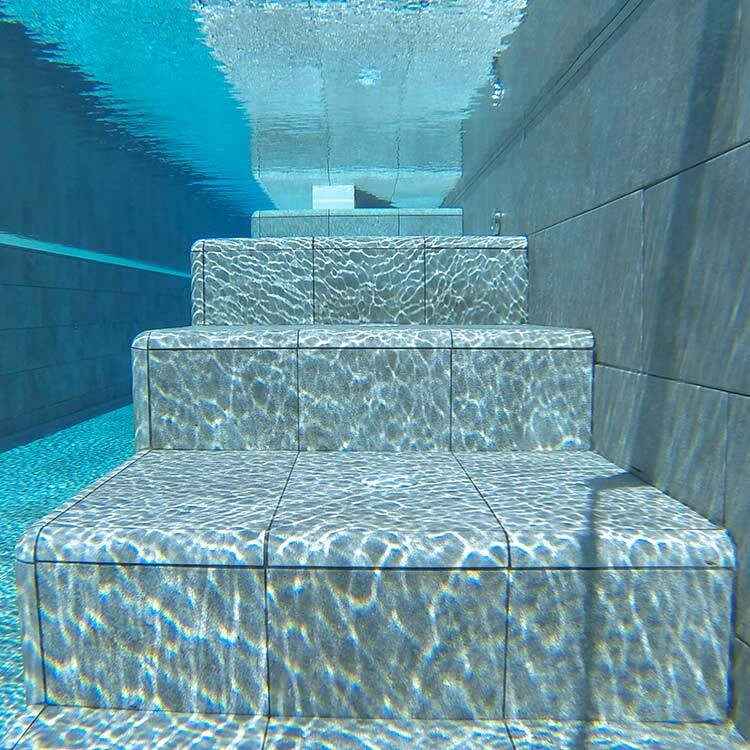 Platforms and ceramic stairs are much more than a construction detail for a pool. They improve the experience in the pool so much you won’t know when to get out of the water.